After defeating Sweden 2-0 in the Quarter-Finals, England now travel to the Luzhniki Stadium in Moscow to take on Croatia in their first World Cup Semi-Final since 1990. We've listed British Bookmakers best odds for Croatia v England below, a preview of the game, and the betting offers and price boosts you can use if you're going to be betting on the match. We've also highlighted the best odds that bookmakers offer for a Croatia win (H), a win for England (A), or a draw (D) below. Use the ALL ODDS tab to view more bookmakers odds. NB: Best odds for Croatia v England correct at the time this match preview went live and are subject to change. Last updated: GMT 06:04 11/07/2018. As well as the best odds, we've also compiled bookmakers betting offers and price boosts that can be used when betting on England's World Cup Semi-Final match against Croatia. The Croatia v England match will be broadcast live on ITV at 7pm on Wednesday evening. Signup to 888sport using promo code 'FB10' and bet £10 on Croatia v England and you'll get £30 in free bets and a bonus £10 free bet to use on any World Cup market. New customers only. Minimum deposit of £10 using deposit code FB10. A qualifying bet is a ‘real money’ stake of at least £10 (£20 e/w) placed on any sports markets. Minimum odds of 1/2 (1.5). Free bets credited upon qualifying bet settlement and expire after 7 days. Free bet stakes not included in returns. Full T&C’s apply. 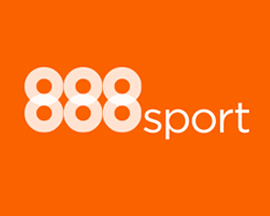 Signup with 888sport today using promo code '888ODDS' and you'll get the boosted price of 7/1 on England beating Croatia in their World Cup Semi-Final. 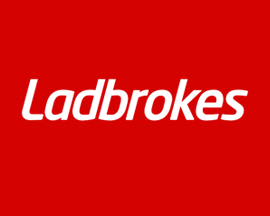 Signup as a new customer at Ladbrokes today using the promo code 'ENGLAND' and you'll get the boosted price of 33/1 on England beating Croatia in 90 mins! 18+. New UK+IRE players only. Time limited. Use "ENGLAND". Deposit & player restrictions. Minimum deposit £5. First bet £1. Winning bets paid in cash at normal price. 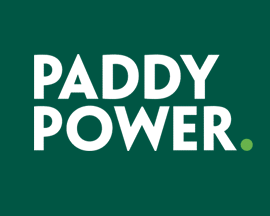 Enhanced odds paid in £5 free bets credited within 24 hours, valid for 4 days, stake not returned. Losing £5 free bet excludes Grid customers. T&Cs Apply. After a comfortable 2-0 win over Sweden in the Quarter-Finals, England have made it through to the Semi-Finals for the first time since 1990, and now face Croatia at the Luzhniki Stadium. Croatia on the other hand made it through to the Sem-Finals via a penalty shootout for the second time in the competition after drawing with Russia 2-2 after extra time. The other Semi-Final of World Cup 2018 took place last night with France beating Belgium 1-0 thanks to a near-post header in the 51st minute by French defender Samuel Umtiti. Bookmakers offer England as favourites to win and secure a spot in the World Cup final, however Croatia are a strong team, and a victory over Zlatko Dalic’s side won’t be easy. England have looked reasonably strong throughout their World Cup campaign, even though they haven’t had to vary their tactical approach or their reliance on set pieces to score too often. Croatia on the other hand, won all of their Group D games, and managed to score 7 goals on the way through to the knockout stages of the 2018 World Cup. Their last 2 games against Denmark and Russia weren’t such easy wins, and it took winning penalty shoot-outs in both fixtures for Croatia to earn their spot in the Semi-Finals. Bookmakers are expecting England to win, as the Croatian side may be slightly more fatigued, but with a place in the Final at stake, but this is a very tough one to call. The biggest issue that Southgate faces is the Croatian’s midfield, and with Zlatko Dalic’s Croatian side’s quality of passing and tactical variety, England could be in for a very tough game. In saying that, if Croatia follow form and pass the ball around a lot in midfield, this could give England the opportunity to get Kane in behind their defence. England are much stronger up front, and Croatia’s defence struggled against Russia, so this may just give England the edge, especially if given the opportunity to deliver from set plays. When looking at the FIFA World Rankings, it's England again who come out on top with a current ranking of joint 12th with Denmark, while Croatia lie in 20th place. If the match ends up going to extra-time and penalties, it's Croatia who'll have the upper hand having already won 2 shoot-outs at this World Cup, compared to England's total of 1. In fact it was the first penalty shoot-out that England have ever won during a World Cup and so asking them to double it during the same tournament, might prove a level of stress to far. Whatever the outcome of this game, English fans will be delighted with their teams performance, but a win against Croatia and a spot in the World Cup final would be magical. England have only played Croatia 7 times in their history and have won on 4 occasions, drawn 1 match and lost 2 times, with both losses occurring in Qualifying Group E of Euro 2008. The last time these two teams met each other competitively was on the 9th of September in 2009 when England beat Croatia 5-1 in World Cup 2010 Qualifying Group 6. The 5-1 result masterminded by Fabio Capello guaranteed England's place at the 2010 World Cup, and saw Lampard and Gerrard scoring 2 goals a piece with Rooney getting the 5th. The biggest win for England over Croatia prior to the 5-1 was 4-1 win they had on the 10th of September in 2008 which was also in qualification for World Cup 2010. There have only been 2 international friendlies between England and Croatia; a 0-0 draw in 1996, the first time the two teams met, and a 3-1 victory for England back in 2003. This will be the first Croatia v England match that has actually taken place at a World Cup having previously only played each other in the qualifying rounds of the tournament. Croatia have let in just 4 goals this tournament, but 75% of them came from set-pieces. Luckily England have scored more goals (8) from set-pieces than any other team during this World Cup with 73% of their 11 goals coming that way! That statistic also has a down side as England had around 15 shots on target during their first two games against Tunisia and Panama but only 6 on target in 3 games since then. England have score a total of 11 goals at World Cup 2018, which is their joint highest goals tally at a tournament. The other occasion being the time they won the competition in 1966. The last time that Croatia played a World Cup fixture on July 11th was when they beat the Netherlands in the 3rd place playoff in 1998. It was also their first appearance at a World Cup. Looking at the last 6 games that Croatia have played, they've won 4, drawn 2, and lost 0 scoring a total of 11 goals (1.83 goal per game) and conceding 5 goals in the process. Croatia's biggest win at the World Cup came against Argentina when they won 3-0. England's record over the last 6 matches is won 4, drawn 1 and lost 1. They've scored more goals than Croatia, 13 in total (2.17 goals per game) and also conceded fewer goals, 4 in total. England's biggest win at the World Cup was the 6-1 demolition of Panama in the Group stages.